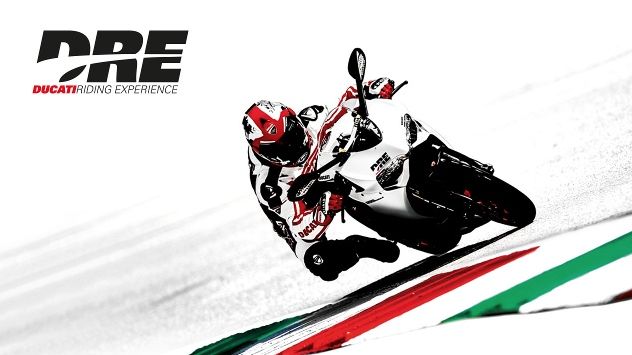 Wheels of Arabia, in collaboration with the Ducati Riding Experience, adds a special date to its 2016 calendar as, on the 28-29 October, the DRE staff will be in Bahrain. There are many reasons why this will be a special event, irresistible to bike fans, starting with the location itself. Imagine the excitement of being able to learn from the best, on a Ducati, at an international racetrack, at night… a magical scenario for an unforgettable experience that will help you to perfect your riding abilities! The riding sessions will take place as the sun sets and will be reserved to a limited number of participants, in order to offer each person dedicated training and allow them to fully appreciate this unique learning experience. the Intro course, on this occasion also for those who do not yet have a bike licence. The course gives you the opportunity to take your first ‘steps’ with the bike, supported by expert instructors who will supply you with the tools you need to become a real biker. the Track Evo course, for those who are more or less confident when it comes to leaning and taking the corners on a track. Riding a Superbike, you will refine your riding technique on any track, learning how to increase your speed through the corners and make the most of acceleration. the Master course, ideal for expert riders who want to dabble in the world of racing and only need to learn how to maximise their potential, the bike’s performance and the repeatability of both. If you are interested, just head to the DRE site or Ducati social media pages… More details about this unmissable event are coming soon!